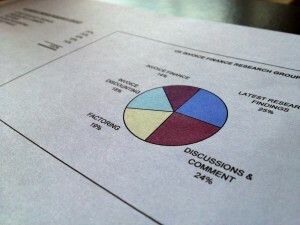 I was asked if the 0.86% market share of businesses using invoice financing was of just of factorable businesses i.e. 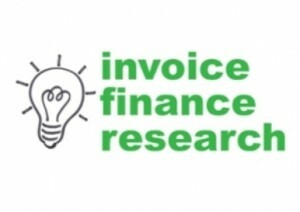 trades that would be acceptable to a factoring or invoice discounting company to fund against. To answer the question, no the market share, at the beginning of 2014, that I estimated was c.0.86% of all businesses - not just factorable ones (view market sizing infographic). To approximately gauge that I have an old market sizing research paper that I did with 2008 figures: Market Sizing 2008 - Invoice Finance and that showed in 2008 4.8m businesses in total in the UK. I used a data warehouse company that showed 3.4m records at that time on their database. Of their records I selected all those that were factorable trades e.g. recruitment, printing etc. and there were 880,000 factorable businesses in 2008 - 25% of the total number on the business in the warehouse's database at that time. So if for an approximation of the market penetration at the beginning of 2014 we applied the same 4 times multiple it would give us a market penetration of "factorable" businesses of 3.44% i.e. 0.86% x 4. The only other slight footnote is that at least one of the ABFA members now provides finance to retailers (I am sure its not a huge volume but anyway) I don't know if they are including that within their ABFA figures or not.